Spoilers up through late season 2. Alicia tips her head back, laughs, drunk on tequila and a case that went their way (in spite of rather than because). Her hair is mussed and her blouse is wrinkled and she's radiant, happier than Kalinda knows how to be. She talks--about her children, about the apartment above them and its noisy occupants, about work, about Peter, about Will, and a hazy discomfort settles in the pit of Kalinda's stomach, a coiled knot of the things she leaves unsaid. Alicia is honest down to her core, and the warm, open smile she bestows on her friends is enough to make Kalinda want to run in the opposite direction, measure the distance between them in miles rather than inches. Cary runs an appreciative eye up and down the lines of her body the first time they meet--and many times after--and that too is a sort of honesty, but one she's familiar with. She sidles closer and matches him stare for stare, performance for performance. He'll do, this Harvard boy, used to being someone other than himself. She likes the exterior he's chosen, the smart suits and smug smile, the flirtation, and doesn't care to learn more. But Cary is young, almost painfully so, and before a month is gone she can read him, knows him; the shades of affection that color a grin, the taut blankness in his face when he cares too much, the raw, open-hearted idealism hidden under careless smirks. And once more, she is afraid. Will sits steeple-fingered across from her, silent and calm. He is a constant, a fellow mercenary in a world that requires them, and he understands. They don't talk, not about things that really matter. She murmurs a greeting and he raises an eyebrow, pours her a scotch, and doesn't ask why. Something in Will shifts when Alicia arrives, though, the inevitable grind of tectonic plates, and he comes into focus, piece by piece. She sees the naked longing in him, love writ large across his face. She sees what--who--he wants, and worst of all, she sees why. No longer inscrutable, no longer unknown, more friend than ally, another frisson of unease in her chest. Blake is a nightmare, a liar's tongue somehow telling truth. The first time "Leela" falls from his lips she wants to tear out his throat so he cannot speak, rip his eyes from his sockets so he cannot see, cannot know--instead she feigns ignorance, because pretending is the only thing she can do anymore. He is her fear made manifest, this casual brute who talks so easily about a past she long since burned to the ground. She engages--she must--baseball bat in hand and vengeance in her heart, but it's not enough. Kalinda keeps her secrets, and this is why. You don’t explain anything, you do not put a single thing in context. She keeps them locked tight in her chest, because when someone else learns your secret, you become helpless. You slept with my husband. Knowable, like all people are knowable. You do not say anything after that. You do not. Vulnerable, like all people are vulnerable. It is selfish to say anything after that. Um, wow! Thank you for filling this prompt so perfectly! Kalinda is one of my favourite female characters and I find her a terrifying prospect to try and capture in fic, but this is sensational. I especially love the Cary part, He'll do, this Harvard boy, used to being someone other than himself. and how you contrast this with how young and easy to read he becomes. But really, I just love the whole thing. Thank you! You're welcome, and I'm so glad you liked it! Thank you for such a lovely response. Anyways, thank you again! I loved having a chance to write this. The world always needs more Good Wife fic. Oooh, does this mean you've written Cary fic in the past? If so, I must go find it! Good Cary fic is hard to come by. Ugh, if only I had the time I would write ALL THE CARY FIC, but alas I'm a college student and thus bereft of time. The only Cary POV (only other Good Wife fic, actually) I've written is a short AU piece set in the world of Caprica. Heh, I hear you on the student thing... I'm pretty sure Professors should be made to schedule WRITE ALL THE CARY FIC into the lecture plans! If you haven't watched Caprica you might be a little lost, though. This is amazing. I've very recently been convinced to watch The Good Wife and I find your exploration of Kalinda, and the other characters through her eyes, both incredibly true to the canon and made incredibly easy to understand. This makes all the sense in the world, and the progression is both fraught and heartbreaking; going from one character to the next feels like Kalinda trying to run away from honesty/emotions, and that it both starts with Alicia and ends with... well, with Alicia and Kalinda's knowable secrets, is a perfect structure. It makes it unavoidable. Simply beautiful. I love this! 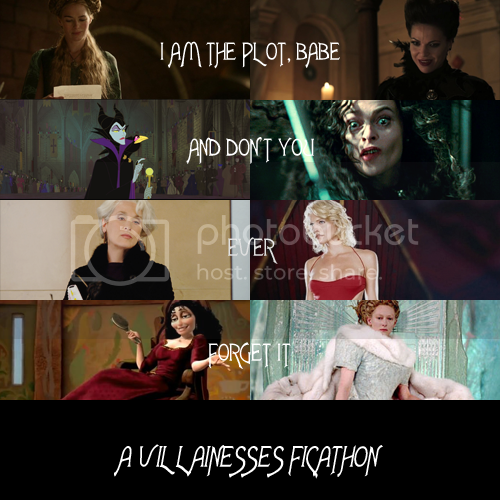 Would it be all right with you if I recorded a podfic version of it for the Awesome Ladies Podfic Anthology II, a podfic project we're putting together for halfamoon? Oh my god, that's beautiful! Thank you so much! I especially love the way you worked in the actual clips of Alicia speaking at the end. Bravo! I briefly considered trying to say Alicia's lines instead of using the actual clips, but when I went to look up the scene, I was so blown away all over again by Julianna Margulies's performance that I knew I couldn't touch it. Yeah, I sincerely doubt anyone could top Julianna in that scene. I'll certainly let you know if I write more, and thanks again!